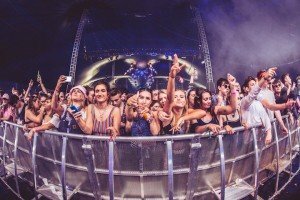 Early Bird Muddy Summer Festival Guide – Book now! The festival season feels a long, long way off right now (although we wouldn’t say no to a pear cider if you’re offering) but these days you’ve got to book mega early if you want to be happy campers come summer. Many of the biggies sell out in a flash – has anyone managed to score Glastonbury tickets in years? But the good news is lots of the local events still have availability, plus most of them are family friendly. We’ve also flagged up some you may not have considered a little further afield. 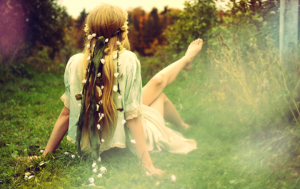 So here’s where you’ll find Muddy decked out in daisy chains, wellies and denim hotpants (OK maybe not those) for a hazy, lazy, possibly crazy summer evening. This May bank holiday hoedown is still relatively under-the-radar and bijou but a friend of Muddy’s went last year and absolutely loved it. 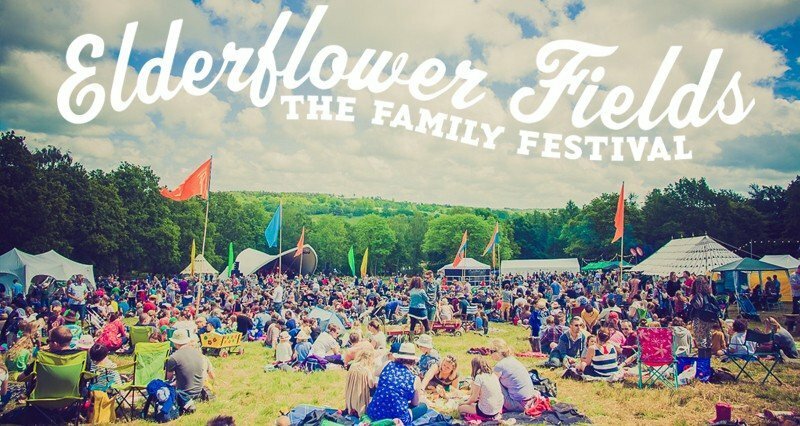 Now in its sixth year, Elderflower is a family festival first and foremost so there are more kids’ activities than you can shake a stick at – everything from parkour to pizza making to family raves, while the bands are of the up-and-coming rather than Radiohead variety. It’s in the bucolic Pippingford Park in the Ashdown Forest. A sister to Manchester’s Parklife, this airport-based festival is at the dancier end of the spectrum and geared to teens upwards. It won an award in its first year – 2015. No deets on this year’s line up yet but you can sign up for alerts and tickets have previously gone on sale in Feb. Last year Disclosure and Rudimental headlined, along with Ice Cube, Busta Rhymes, Bastille and Stormzy. 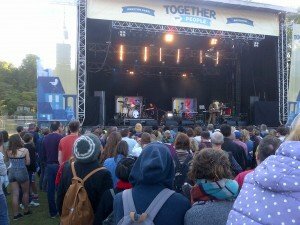 There were four other stages besides the main stage and a shuttle service operated from Preston Park and Worthing stations. This wellbeing orientated festival, has hundreds of workshops and activities for both adults and children including, last year, aromatherapy, climbing, street dance, yoga, music, massage, artistic upcycling and a teen’s band camp. It was previously at Plumpton College, this year it has moved to Herstmonceux Castle. Early bird tickets are £140 adults, £70 children, for the whole week including six nights camping and all workshops and activities – bargain! Meal packages are also available. You don’t even have to camp as there are bedrooms for hire if you prefer. Blues on the Farm is firmly established, having celebrated its 25th anniversary last year. 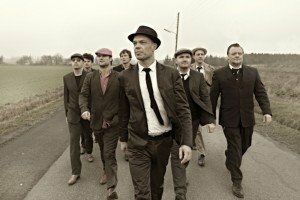 The four day festival near Chichester brings together top international Blues acts in a warm family atmosphere (The Sunday Times dubbed it ‘the friendliest festival in the UK’). You can come for the day, the evening, or stay over in your own tent or motorhome or an onsite bell tent with beds. There is little information at the moment about this year’s event – not even the dates are up, but last year was headlined by Gary Brooker and friends and Stevie Nimmo. Championed by the likes of BBC 6 Music, this is Europe’s biggest festival for new music and it takes place in around 30 venues throughout the city that you can walk between. Bring an open mind and discover a new favourite among the over 450 up-and-coming artists from home and overseas. Three-day ‘saver’ tickets (£60 adults, £32 for 16-17s) are on sale now. 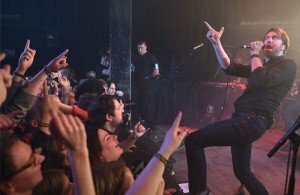 Bigger ‘spotlight’ gigs requiring separate tickets include Rag ‘n’ Bone man which has already sold out. 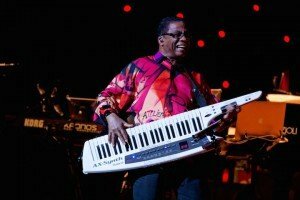 Grammy award winners Herbie Hancock and George Benson will be headlining the fifth outing of this jazz soul and funk festival which draws around 15,000 people. Besides the music there’s a kids’ green with fun fair, a well-being area, an upmarket dining option and a spot for a ‘secret swim’. You can camp or glamp on site and last year special buses ran from Brighton and Lewes. Earlybird tickets have already sold out but you can still get your hands on regular ones. This family friendly music festival on the edge of the city was last year headlined by Suede and Brian Wilson. There are smaller bands besides and kids’ theatre, a fun fair and more. I went along to the inaugural event – read my feature here. It doesn’t usually sell out but prices rise steeply. Limited advance tickets are currently £65 for an adult weekend pass, £30 for 11-15-year-olds and ten and unders go free! Nope, you can’t camp but it’s on train and bus routes. Joy is up on the Sussex / Kent border near Tunbridge Wells this year with the backdrop of the 17th century manor house, formal gardens and enchanted wood of Groombridge Place. Creative shopping and activites, gastronomy and lifestyle are the theme but there’s live music as well (some on a vintage bus) with Squeeze’s Chris Difford among this year’s acts. Expect pop-up shops, food trucks and a night market and chances to make wild cocktails, fairy wings or iron work or try your hand at archery or falconry. You can still grab an earlybird ticket and camping and glamping options are available. Incidentally, Kent’s popular Chilled in a Field family festival is taking a break this year. 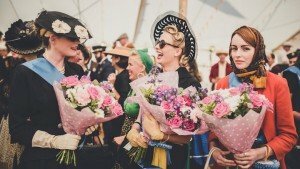 Perfect for vintage lovers, the Goodwood Revival is the only historic race meeting to be staged entirely in period dress – covering the 40s, 50s and 60s. The idea is to return to the halcyon days of Goodwood as the spiritual home of British motor racing and you don’t need to be a petrolhead to enjoy the glamour. Tickets are already on sale, you can make a day of it or camp or glamp overnight. 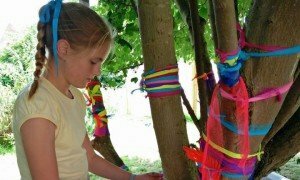 This unusual but well thought out festival, from the people behind Elderflower Fields, has a woodland setting off the A22 and covers the themes of Working (traditional crafts, coppicing etc) Playing (rope swings, adventure playground, archery etc), Living (cabins and aerial tents) and Surviving (foraging, den building etc). There are also art installations and wildlife sessions with pond dipping, seed planting and nature trials plus food including wood fired pizza. It’s one of the more affordable festivals, sold by the day, with advance family tickets currently £22. Bestival’s less wild little sister, the award-winning Camp Bestival, is the Rolls Royce of family festivals. There’s tonnes for kids to do and the music bookings are always high calibre. This 10th anniversary year will see the dapper Mark Ronson getting the party started, with ’90s favourites Leftfield and All Saints also in attendance. If you’re tearing your hair out at the cost of taking the family to a festival (when did they become the same price as a holiday?! ), it’s worth noting that Camp Bestival do a brilliant payment plan to spread the cost. 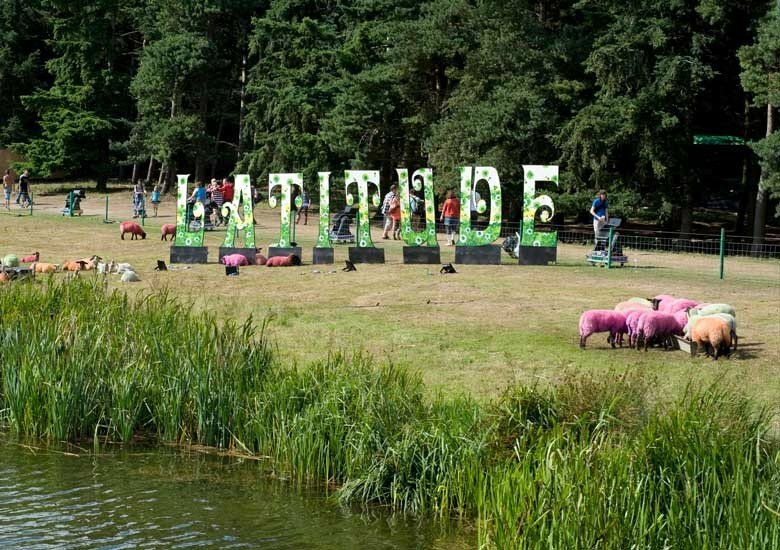 One for culture vultures, Latitude is about so much more than bopping around to bands. With its extensive programme of literary readings, theatre, dance, comedy and all things artsy, it’s probably the most civilized of all the festivals, although there’s nothing to stop you caning eight pints of cider and falling into the pond, should you wish (we’re not here to judge). 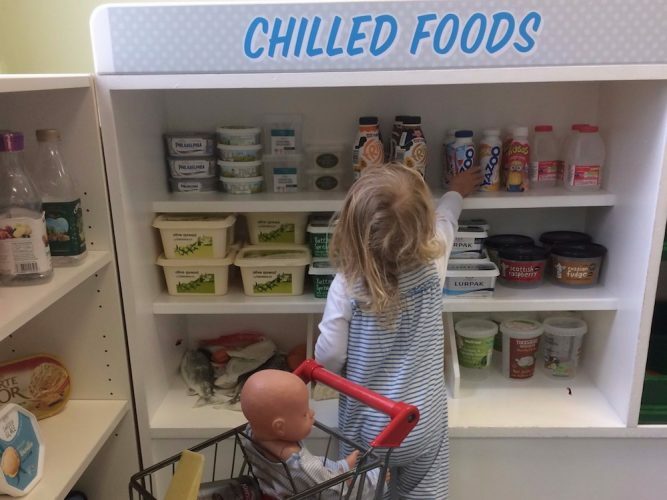 It’s also a winner for children – and not just little’uns. The In-Betweeners’ Area keeps moody teenagers out of trouble with its survival and assault courses. I went a few years back and loved the setting and the mixed programme. Bit posh? Then you’ll love Wilderness, which is a lot more genteel than its name suggests. Details are sketchy for this year but 2016’s event in the idyllic 400 acre country estate included a pop-up spa, a Raymond Blanc-cooked gourmet lunch and a croquet tournament. 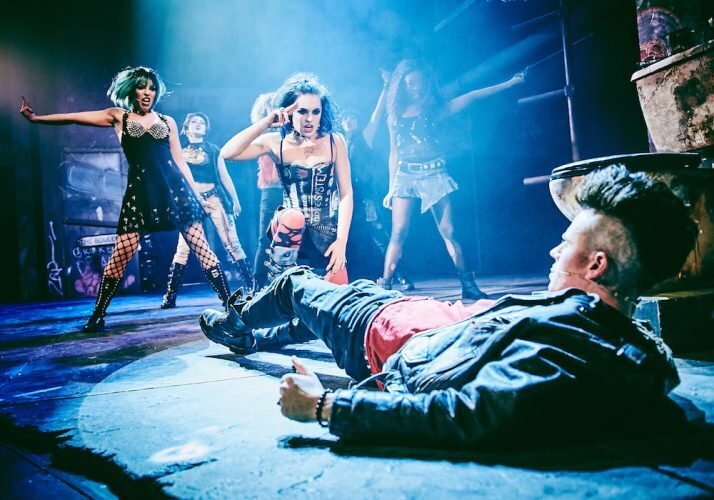 Rock’n’roll! The music bookings are still tbc but tend to be strong – last year the line-up included the weird and wonderful Flaming Lips and Led Zeppelin legend Robert Plant. You don’t have to camp in a field for this one, but you will have to get cracking to book reasonably priced digs – or any digs for that matter. 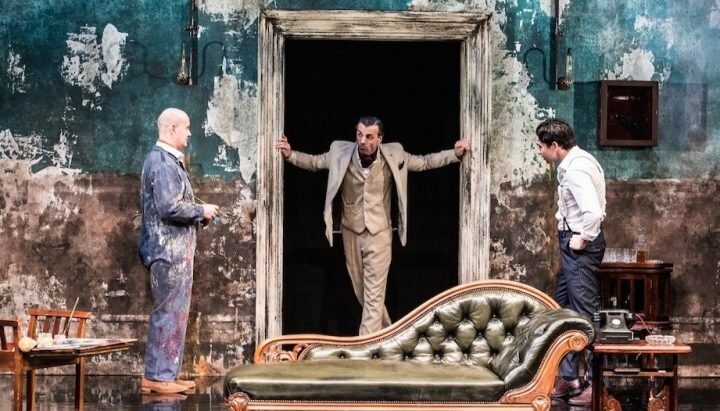 It’s the biggest arts festival in Europe, it runs for most of August throughout the city everywhere from major venues to pub basements and you never know quite where you’re going to hit that golden gig. It’s very strong on comedy, good for theatre, but there’s heaps more besides including music, spoken word and family-friendly events. It’s a yearly pilgrimage for Chez Muddy Sussex. See my guides here on planning ahead for the festival and planning your time when you’re there. 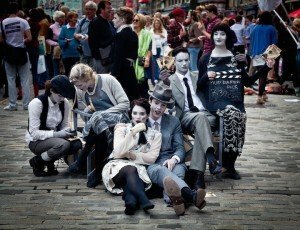 For a taste of the festival somewhere more local check out Brighton Fringe in May where many of the acts are warming up for their big Edinburgh run. This is by no means a comprehensive guide, so if you’ve another favourite please share!